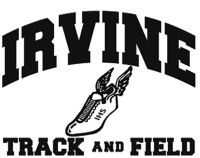 Welcome to the Irvine High School Cross Country and Track and Field Team official web home page. Our team is built on our Integrity, Social Responsibility, and Honoring yourself and others. Our team mission to foster the role of a student athlete at Irvine High School and emphasize the importance of our IHS values. The District does not discriminate in enrollment in or access to any athletics program available. Admission to these programs is based on age appropriateness, team roster space, aptitude, and meeting academic eligibility requirements. The lack of English skills shall not be a barrier to admission to or participation in the District’s activities and programs. The District’s facilities and equipment provided for students are comparable and equitable to both sexes without disparity or imbalance, consistent with his or her gender identify, irrespective of the gender listed on the pupil’s record.